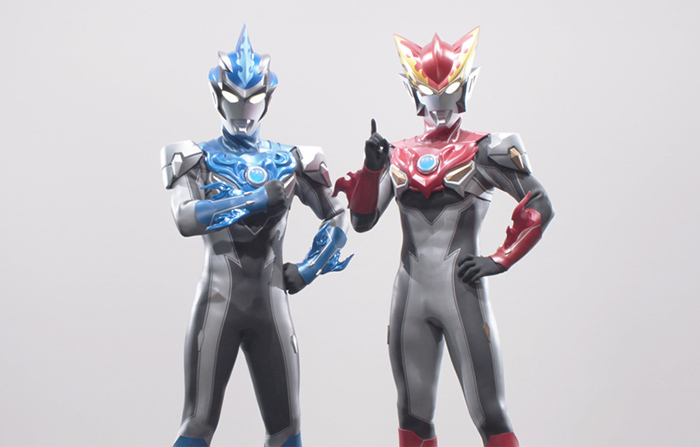 Also included is an exclusive framing sequence adventure starring Ultraman Rosso and Ultraman Blu — the brother heroes of ULTRAMAN R/B — and Ultraman Zero (Character Voice: Mamoru Miyano), one of the most popular Ultramen in the series. 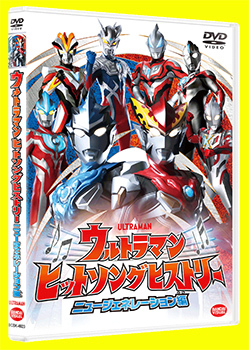 The story begins when Ultraman Rosso and Ultraman Blu pursue a monster to the moon. 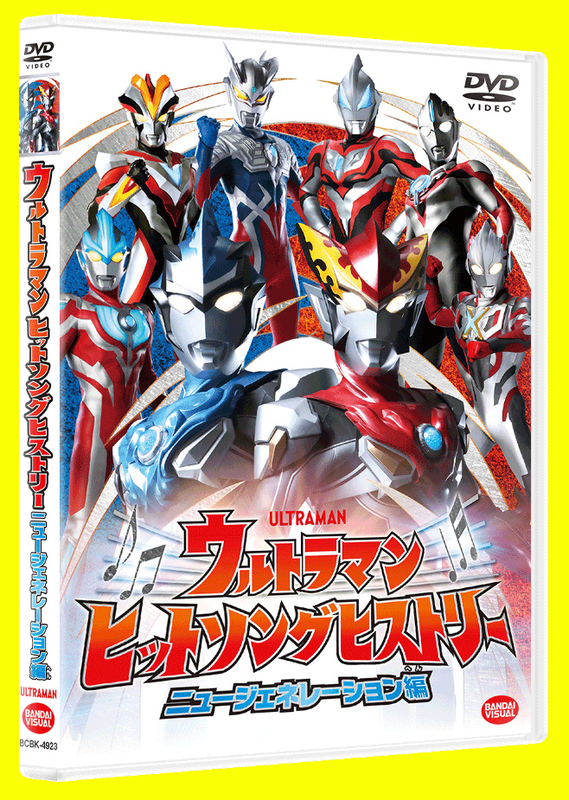 There they encounter Ultraman Zero, who tells them that other Ultra Heroes have been trapped by Etelgar, the spatio-temporal demon who wants revenge for his earlier defeat in ULTRAMAN GINGA S THE MOVIE (劇場版 ウルトラマンギンガＳ 決戦! ウルトラ10勇士! !, Gekijoo-ban Urutoraman Ginga S Kessen! Urutora 10 Yuushi! !, 2015). 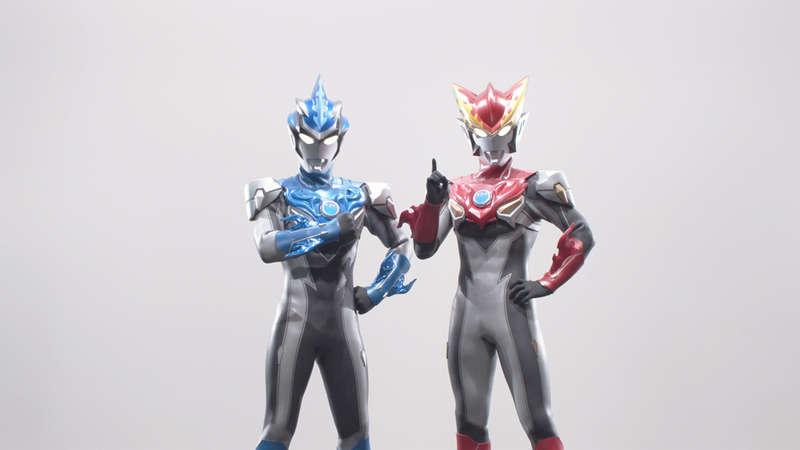 In order to save his friends, Zero has traveled beyond space and time to borrow the power of Rosso and Blu. Can the trio save the imprisoned Ultra Heroes with the power of song? From Ultraman Ginga to Victory, X, Orb, Geed and the latest heroes Rosso and Blu… put on the theme songs of the New Generation Heroes as the battle begins!